William Rickatson Dykes,THE BEARDED IRISES. W. R. DYKES, M.A., L.-ès-L. 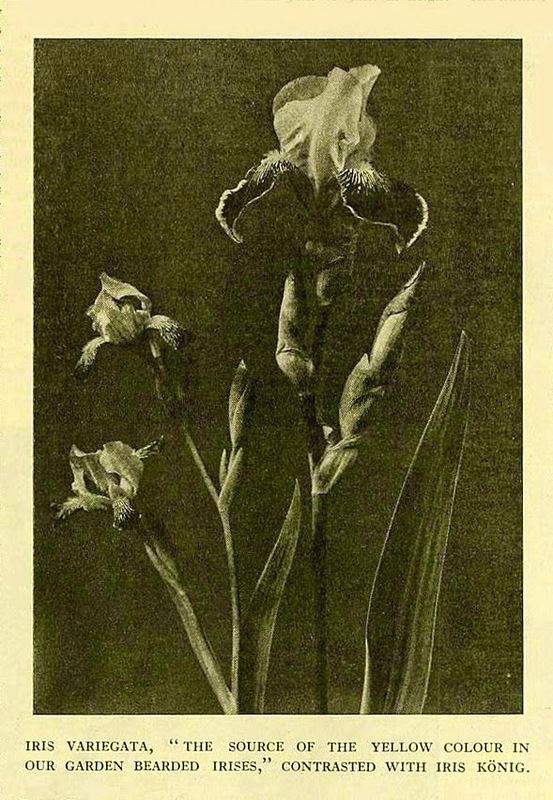 SOME weeks ago there appeared in these columns an article on Bearded Iris species, which summed up what was known of them about thirty years ago, at the time when Baker compiled his Handbook of the Irideæ The so-called species were described in the order in which they appeared in Baker's book, and in many cases the wording of the descriptions was identical. Since 1892, however, much research work has been carried out, and our knowledge of the wild species of Iris and of natural and garden hybrids between them has grown very considerably. 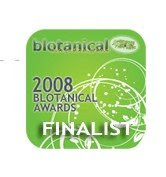 This growth has been made possible by the examination of the very numerous dried specimens of wild plants which are preserved in the various herbarium collections and by the cultivation of living plants from known localities. Thus we now know the difference between I. pumila and I. Chamæiris. The former has practically no stem and a long perianth tube between the ovary and the flower, while the latter has a stem which is at any rate always longer than the tube. Colour alone is no guide to specific difference, and both these species may have either yellow or purple flowers. The curious thing is that in some localities there is apparently very little colour variation, while in others every plant seems to be different. Thus I. Chamaeiris on Mount Coudon behind Toulon is all yellow or yellow flushed with brown, while at Roque-haute on the coast of Herault there is every variation. I. pumila in the Deliblat in Hungary is always purple, while on the Geissberg outside Vienna and on the Dalmatian coast near Zara and Sebenico there is infinite variety. Many of the plants sold as pumila are in reality Chamæiris, but no one who has once seen the ripe seed-pods of I. pumila will ever again confuse the two species. The capsules are literally on the ground, broad at the base and tapering to a conical point to which is still attached the long, withered perianth tube and the remains of the flower. The ripe capsule splits open, not from the apex, as in I. Chamæiris, but below the apex, as in I. arenaria and in the species of the Regelia group. I. Chamæiris is found only in South-Eastern France and in Northern Italy I. pumila in Austria and Hungary, Croatia, Greece and Southern Russia. In Sicily there is a rather delicate species like a large I. Chamæiris, but with the long tube of I. pumila. It looks not unlike a natural hybrid between the two species, but it can hardly be so, because artificial hybrids between them are quite sterile and differ in some slight but well marked details. For some unknown reason Balkan Irises have sharply keeled spathes — the green or membranous sheaths in which the buds are contained. There are, in fact, quite a number of Balkan species with keeled spathes, which have counterparts in Western or Central Europe, in which the spathes are either shapeless or merely rounded. Thus I. spuria and I. graminea correspond to I. Sintenisii and I. Urumovii. In the same way the Balkan I. mellita and I. Reichenbachii correspond to I.pumila and I. Chamaeiris. Of both there are yellow and purple forms, which have been described as distinct species. Thus serbica and bosniaca are merely yellow forms of I. Reichenbachii, while balkana and Athoa are purple. I. mellita is dwarf like pumila, but has sharply keeled spathes and is the species of which one variety from Skutari, opposite Constantinople, is in cultivation under the name of rubromarginata. I. Reichenbachii has a stem from 3ins. to 9ins. in height and a comparatively short tube. I. mellita has a long tube and is nearly always stemless. These four species, pumila and Chamæiris in the west and mellita and Reichenbachii in the Balkans, are never more than a foot in height, and the only other species which are certainly natives of Central Europe seem to be I. aphylla, I. variegata and I. pallida, of all of which there are many local varieties. All those who have grown them know how readily and persistently they all set seeds, while it is comparatively rare to see a pod on any so-called germanica, lurida, flavescens or sambucina, and rarer still to find more than one or two seeds in them. I. aphylla, as its name implies, loses its leaves entirely in autumn ; so, too, do I. variegata and I. pallida to a very large extent. This is only what we should expect of plants which are natives of countries like Central Europe with a rigorous winter climate. I. aphylla has a host of synonyms, such as biflora, bisflorens, bohemica, hungarica, furcata, etc., some alluding to its habit of flowering a second time in the early autumn, some to the branching habit of the stem, which forks characteristically below the centre, and others to the various localities in which it is found. It is characteristic, also, of I. aphylla to have spathes of thin membranous texture either wholly green or more or less flushed with purple. The colour of the flowers is usually a deep purple, though both yellow and almost white forms are not unknown. I. variegata comes from Hungary, Croatia and the Balkans, and is the source of the yellow colour in our garden Bearded Irises. In the wild plant the standards are yellow and the falls more or less closely veined with some shade of brownish purple on a yellow or creamy ground. The spathes are green and remain persistently so, even when the flowers are fully developed. In I. pallida, on the other hand, they are always wholly scarious or papery, even long before the buds emerge from them. It is interesting to remember that all such plants as sambucina, squalens, lurida and even germanica have spathes which are scarious in the upper part and green or herbaceous in the lower part, an indication that they are hybrids which owe their origin to a cross between a species with herbaceous spathes and a species with scarious spathes. Another fact, which appears only to have come to light in the last ten or fifteen years, is that in the only two localities where I. variegata and I. pallida are both known to grow wild, namely, near Bozen in the Tyrol and on the Velebit Mountains above Carlopago on the Croatian coast, natural hybrids also occur identical with those to which such names as squalens and sambucina have been given. In such hybrids it is easy to see the struggle for mastery of the purple of pallida and the yellow of variegata. Moreover, it is quite easy to raise these hybrids in our gardens by crossing the two species. I. germanica is frankly a puzzle. All we know for certain is that it has never been found undoubtedly wild anywhere. Moreover, it is extremely reluctant to set seed under any conditions, and it has a habit of making its new growth in the autumn, which would mean that its foliage would suffer in a continental winter and the plants remain flowerless, as they not uncommonly do even in this country in a season of late frosts and in exposed situations. Again, there is not one germanica but several. The common form in this country is bluer than those we find in Southern France. The variety Kharput was sent to Foster from the town of that name in Northern Asia Minor and is naturalised near Srinagar in Kashmir, while atropurpurea grows in masses at Beaucaire, opposite Tarascon on the Rhone, and at many other places in the South. Moreover, it was found growing abundantly at Khatmandu in Nepal a hundred years ago! Three years ago I found an Iris growing high up on the rocks between the two arms of Lake Como, in a position where I felt sure it must be wild and not an escape from cultivation. When the plants, which I brought home, flowered they proved to be Kochii, but, unfortunately, they will not set seed, as we should expect them to do if Kochii were a wild species. No form of germanica has been known to reproduce itself from seed. The few seedlings that have been raised are all dwarf plants, resembling I. aphylla more than any other species. Another puzzle about germanica is that each purple form seems to have a corresponding albino form. The so-called germanica alba is one, another even whiter was found growing by the roadside in Istria, while the well known florentina is another. This is the albino of a slender form of germanica which is used along with pallida in the manufacture of orris root near Florence. Streaks or patches of purple not infrequently occur in flowers of florentina and also in the other albino forms of germanica. Florentina has nothing whatever to do with I. albicans, which is the albino of the Arabian I. Madonna. I. albicans and I. Madonna can easily be picked out of a collection in winter by their curiously twisted leaves and by the fact that the tips are always browned by the frost. Albicans has been transported all over the world as an ornament for Mohammedan graveyards, while Madonna was only discovered in, and introduced from, South-Eastern Arabia less than twenty years ago. I. pallida has many local forms. Near Bozen it is a sturdy plant 3ft. high with a stiff stem and very glaucous leaves. In Dalmatia it is much more slender, with either green or glaucous leaves and flowers of every conceivable shade of purple, using that unsatisfactory word in its very widest sense. Ciengialti and Loppio are only two forms among a vast number to be found on the eastern coast of the Adriatic, and the so-called pallida dalmatica is almost certainly of hybrid garden origin and not a native of Dalmatia. It is much nearer to the Bozen form than to anything that grows in Dalmatia. Moreover, it very rarely sets seed and, when it does, gives a long series of variations. Another old garden plant, flavescens, is similarly almost certainly of hybrid origin. It seldom sets seed and is quite distinct from I. imbricata, with which it has been confused. The latter is a plant from the south-western shores of the Caspian, and was once grown at Kew under the name of obtusifolia. The flowers are of a curious greenish yellow, sometimes streaked with purple, and the spathes are very large, green and inflated. In cultivation a purple-flowered form of it has appeared. Neither flavescens nor imbricata are found growing wild in the Balkans. I. kashmiriana is a difficult plant to flower in this country. It wants a thorough roasting in summer, and has a purple counterpart, which seldom finds its way beyond the borders of Kashmir. The white form is used for decorative purposes by the natives, as is also albicans, and the purple form is as neglected as I. Madonna. The so-called plicata can hardly be a wild species. It does not come true from seed, and it is not known to occur in the wild state anywhere. It seems rather to be a seedling or hybrid of I. pallida and is, in fact, a pallida in which there is some factor which prevents the purple colour from spreading all over the segments of the flower. The colour is confined to the veins and usually to the extremities of the veins near the circumference of the petals. In Asia Minor and in the hill country to the north of Mesopotamia there are undoubtedly several little-known or unknown species of Bearded Iris. Specimens have occasionally been in cultivation, but never apparently for very long, nor has anyone tested their validity as species by raising them from seed. Moreover, the specimens seem always to have come from inhabited areas and not from regions in which it was obvious that they were wild plants. Probably, now that we are once more at peace with Turkey, it will be possible to obtain further specimens and to decide how many species there are. At present the claims of I. trojana to specific rank seem undeniable. It has a tall branching stem, long, narrow pointed buds and comparatively narrow foliage. It is supposed to have reached the Vienna Botanic Garden from the neighbourhood of Troy, but it is obvious that a plant from such a locality might not necessarily have been a native of it if, as now seems probable, Irises were in cultivation as garden plants when Minos reigned at Cnossus in Crete about 1600 B.C. However, I. trojana seeds readily and reproduces itself with those slight variations in the tone of colour in the flower which we expect to find when raising a species from seed. It is probably to I. trojana that we owe the tall, branching habit of many of the newer hybrids. W.R.D.